With the rapid rise in popularity of smart devices today, many people have begun relying on them to manage and assist with their daily tasks and lives. In many cases, these devices may be so deeply integrated into our lives that they can present potential privacy and security risks if not properly managed and secured. Many smart speakers such as Amazon Echo, Google Home, HomePod etc. are designed to listen for user-based voice commands and execute these upon request. This requires these devices to be constantly alert and listening out for your instructions which can create potential privacy and risk concerns. If you use this sort of technology, you need to ensure that the proper steps are taken to mitigate the possible risks. One of the ways in which you can help to secure your privacy while using these devices is by turning off microphones and cameras when you are not using the functions or do not want them listening to or watching you. This can be achieved by simply pressing the mute microphone button found on the device. For added security, these devices can be unplugged entirely when not in use to make doubly sure. Anyone can potentially access information stored on the device simply by asking the device for it, or even by hacking it. Therefore, sensitive information such as passwords, banking details, social security numbers, or other any information that you would like to be kept private should not be discussed while the device is listening. These devices automatically save recorded audio to cloud-based servers. As a result, if you are concerned about your privacy, you can set your smart speakers to periodically delete these recordings to reduce the risk of any sensitive information being accessed. Smart speakers can be set to interact with other smart devices such as smartphones as well as their apps. To help improve privacy, you can disable this interaction between non-essential apps such as Facebook, email, banking apps etc. Smart speakers share a wide range of features such as being able to make online purchases at your request, make calls, operate other smart devices etc. It is therefore important to make sure the smart speaker device is properly secured and protected from any potentially unwanted use. Smart speakers offer voice recognition software that allows you to set your devices to only respond to certain voice frequencies. This provides users with an extra security feature that can be used to help prevent any unwanted access over devices. In order to utilise this setting follow the voice initialisation instructions provided by the respective device to enable the voice recognition features. Depending on your Smart Speaker it may have the ability to make purchases upon command. This feature can present potential security risks especially in the hands of hackers or other unwanted users. You should, therefore, ensure that voice-activated purchasing functions are password protected or disabled entirely to prevent any unwanted or accidental purchases. Improving your password strength can drastically improve your device security. This can be achieved by adding a two-step authentication process such as a voice recognition check as well as a password login when using the device or when requesting access to potentially sensitive functions or features. A smart speaker can be interconnected and integrated with other smart devices providing them access and control over these other devices. 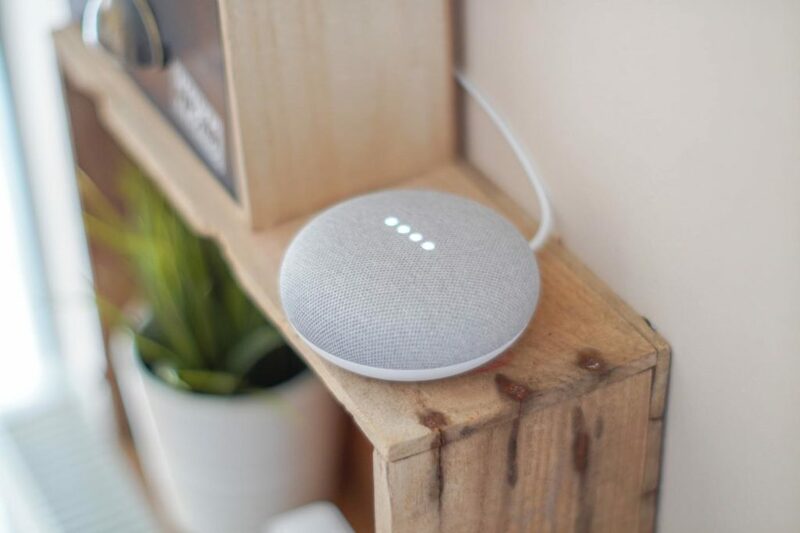 This can present a potential security risk as for example, a smart speaker that can control the locks on doors could allow intruders to potentially command the speaker to unlock the door for them. Smart devices can be set to operate and control other smart devices such as door locks, house alarms and other security features, this can present potential safety risks for you if these features were to be taken control of by an unwanted user. It is therefore important to carefully assess these potential risks and consider disabling or limiting access to other devices which provide important security functions. Personal diaries containing your daily schedule and routine information can present a potential safety risk if not properly secured. Sensitive information like this in the hands of an unauthorised person can present a major safety risk as it could potentially grant them knowledge of your whereabouts. Therefore, storing information of this type should be limited or at the very least password protected. Smart devices such as smart speakers can help improve the daily operations and management of peoples’ lives. However, privacy and security considerations need to be carefully assessed and managed to prevent any potentially harmful or dangerous use of these devices should they land up in the wrong hands.